Curcumin in near pure form is now recognized as an effective antioxidant. It has therefore a good market as an anti-cancer nutraceutical. 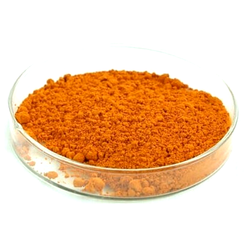 Oleoresin turmeric is obtained by solvent extraction of dried rhizomes of Curcuma longa L.
Lutein from Tagetes erecta L. is a purified extract of xanthophylls obtained from marigold oleoresin. 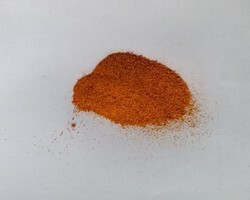 The oleoresin is prepared from hexane extracts of marigold (Tagetes erecta L) flowers, saponified with potassium hydroxide in either methanol or propylene glycol. The resulting crystalline material contains lutein, and minor components including other carotenoids and waxes.